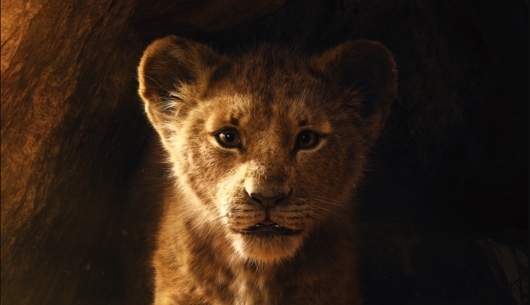 Disney’s animated classic The Lion King has been reimagined as a new live-action style film from director Jon Favreau, who helmed the studio’s live-action makeover of The Jungle Book. Now the studio has just released the first look at the new Lion King in the form of a teaser trailer. While it might have some familiar sights and sounds, the virtual cinematography technology gives the film tangibility. Check out the trailer here below. This isn’t the first time that Favreau has used the technology on a Disney film involving talking animals. His first attempt was on 2016’s The Jungle Book. That film was met with unanimous praise. Now, the director takes that same technology to The Lion King. Based on the 1994 animated film of the same name, The Lion King sees a young Simba learning what it will take to one day be a true king all while his devious Uncle Scar plots to usurp the throne and exile his nephew. The scene then transitions to the opening seconds of Zazu flying toward’s pride rock where Rafiki performs the ceremonial presentation with the animals bowing and the camera pulling away to show the entire kingdom. Of course, there will be some new additions to the film to separate itself from its animated counterpart. Now Jones is the only a speaking voice that you hear in the film. However, we do know that Donald Glover will voice Simba while Beyonce Knowles-Carter will voice Nala. Other voice talents include Seth Rogen and Billy Eichner as Pumbaa and Timon, respectively, with John Kani as Rafiki, John Oliver as Zazu, and Chiwetel Ejiofor as Scar. New characters include Alfre Woodard as Sarabi, Florence Kasumba as Shenzi, Eric Andre as Azizi, and Keegan-Michael Key as Kamari. Sure this may seem to some like just like another cash grab, but The Lion King is considered to be one of Disney’s greatest animated films. Its original songs were written by composer Elton John and lyricist Tim Rice, with a score by Hans Zimmer. All three will be returning to create a new score and new songs for the film. Additionally, there will be a new end credits song for the film written by Rice and performed by Beyonce. The Lion King roars into theaters July 19, 2019.